Lucky me! I won the sign above the stove from Signs By Andrea. How cute is this sign? You can win it! and/or “like” classic • casual • home on Facebook. 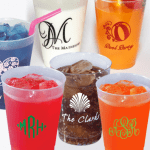 Visit Andrea’s site to purchase a personalized one like ours. 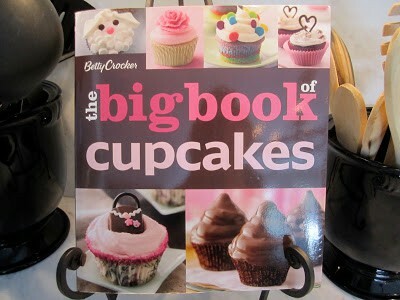 Another fun thing I won from Sharon at Elizabeth & Co.
is this book along with sprinkles and cute cupcake paper liners. Check out her entertaining blog. for a little dinner party on the patio last night. this Caprese salad from Stone Gable was also on the menu. I skewered them with rosemary from our garden. Susie and I both bid on this little oil painting at a school fundraiser. She won. Last night, she surprised me by wrapping it up and giving it to me as a hostess gift. in the kitchen sitting area be added for him. So, I recovered the seat and added the one on the left (you reading this, Mark?). 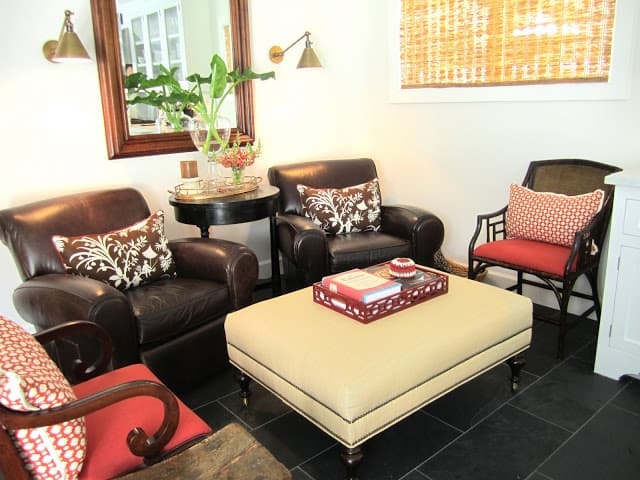 “like” Classic • casual • home on Facebook. …I don’t mind bribing you. Drawing for US and Canadian residents to be held this Friday at 9 pm Pacific Standard Time. Elizabeth from The Mustard Ceiling. LOVE your sign, love your kitchen, love your style and love that outdoor setting from last nights dinner party, just exquisite all the way around! PS Am a devoted follower and would LOVE to win a sign! 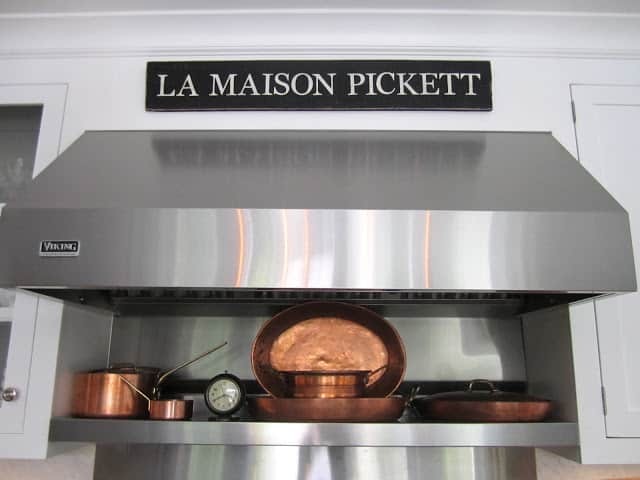 Love all your wins – the la maison pickett sign is just perfect. Your menu looks fabulous and table beautiful!! I'm sure the evening was a success. I saw the caprese salad over at Stone Gables as well – yours looks equally delicious! Cool sign…I love your kitchen! I like the looks of the summer salad. My tomatoes are just coming on. I will put it on the menu. I am new to your blog as I just added it to my Google reader this week. The sign looks perfect in your lovely kitchen, Mary Ann! And I LOVE the table you set for your company…very elegant! I just read the recipe for the Caprese salad at Stone Gable, what a statement it makes! I have to try it! Your dinner looks perfect! I love using rosemary as a skewer. The painting is so pretty. Such a nice hostess gift. Have a nice evening, Mary Ann. 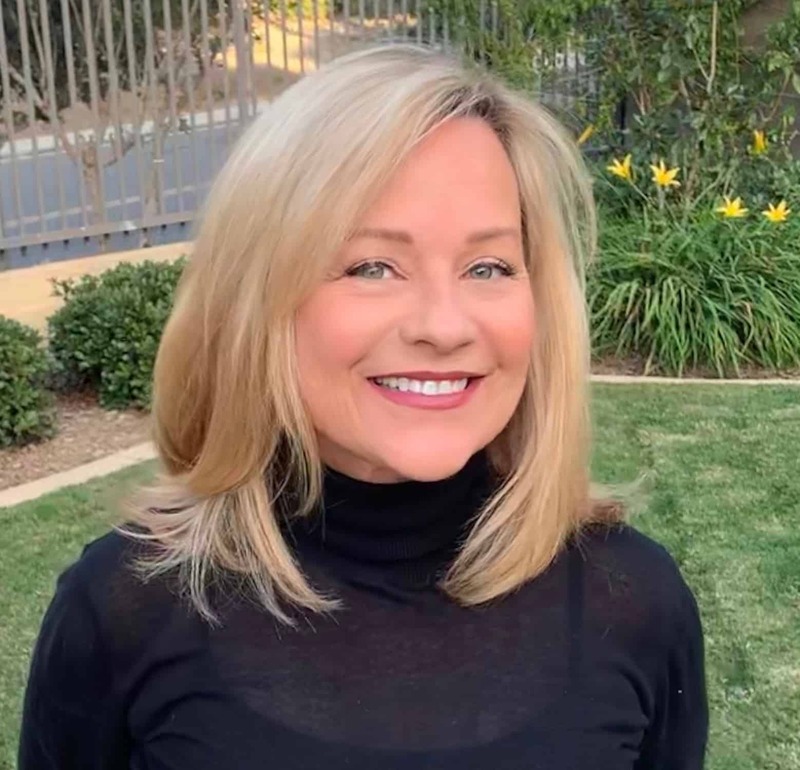 What a jam packed post Mary Ann! First of all, your sign looks fabulous in your gorgeous kitchen! And the cupcakes turned out so cute. I bet they were yummy! Your chairs look so good ~ what a cozy spot! And you have a sweet friend to bring you such a special gift. Looks like you had a lovely party! Love your new sign, and you know I already love your beautiful kitchen. That lemon risotto sounds delicious with the grilled shrimp and scallops. Thanks for the opportunity to win the red sign. Your dinner that you served sounded just wonderful. And I do love the sign above your range hood. It looks perfect! Mary Anne You make entertaining so fun. I love this sign!! 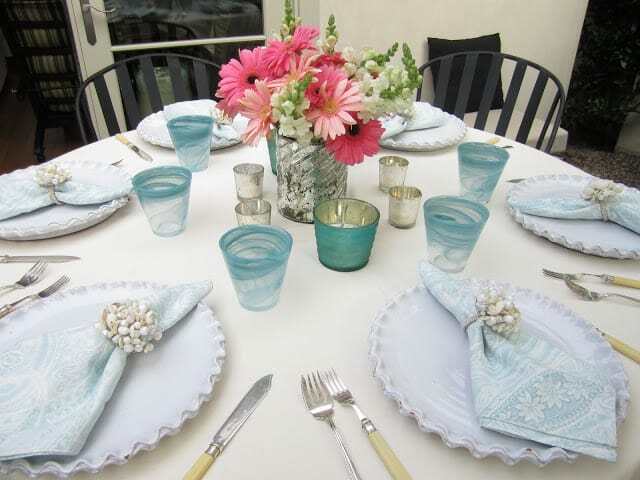 lately I have been so into pretty linens and you always have a beautiful table! Love the signs! And even more so, I seriously adore your plates! Where did you get them?? 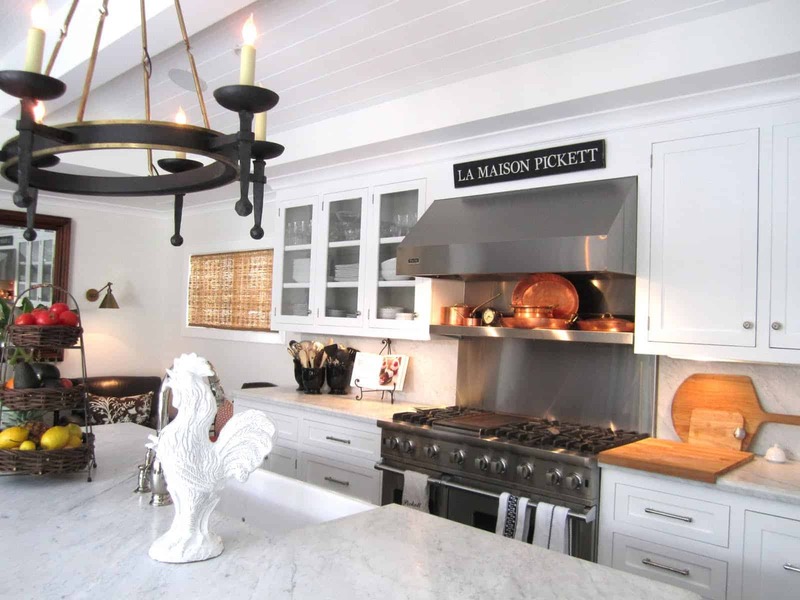 Mary Ann, as you know, your kitchen is in my dream kitchen inspiration files! I like the addition of the ottoman in your seating area (or was it always there and I didn't notice it?) Also the little pop of color the chairs bring in! So pretty and your new sign is just perfect above your stove! 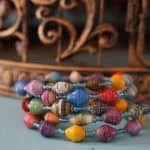 Thanks for sharing and for hosting this terrific giveaway! That sign would fit perfectly in my kitchen. I always enjoy any updates you do to your already gorgeous kitchen! Hope you're well! What a sweet giveaway! I really hope to win it! It's lovely. Now, I need to try those cupcakes. My husband loves chocolate and raspberries, so I'll make some for him. Another thing, your blog is looking gorgeous! Love the colors!!! Great job! Everything you are showing here is wonderful. 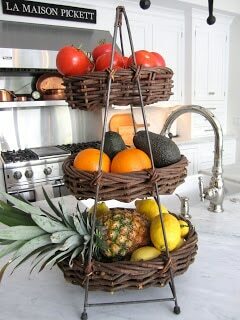 I love your pretty blog and your kitchen is to die for. I would LOVE to win that adorable sign. 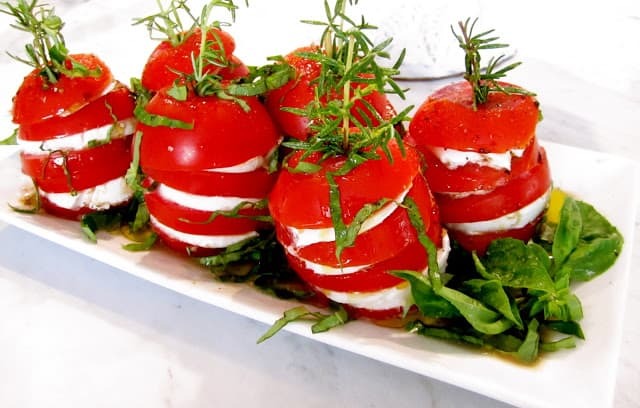 The caprese salad looks delicious! Makes me want to order one for lunch! Your kitchen looks great. Count me in on the giveaway! The table looks very inviting and I just read on Stone Gables' blog the recipe for the Caprese salad last night…I hope it tasted as good as it looks! Beautiful kitchen as well to prepare it in! Your kitchen looks so inviting and I bet you whip up some great stuff besides what you've shown us here. Everything looks exquisite! Love the sign too. Of course I follow you. Sign me up! 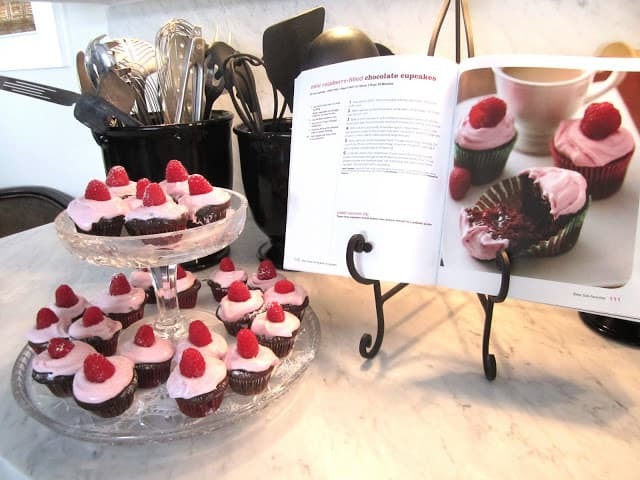 Love your sign, LOVE your kitchen and your cupcakes look just like those published. 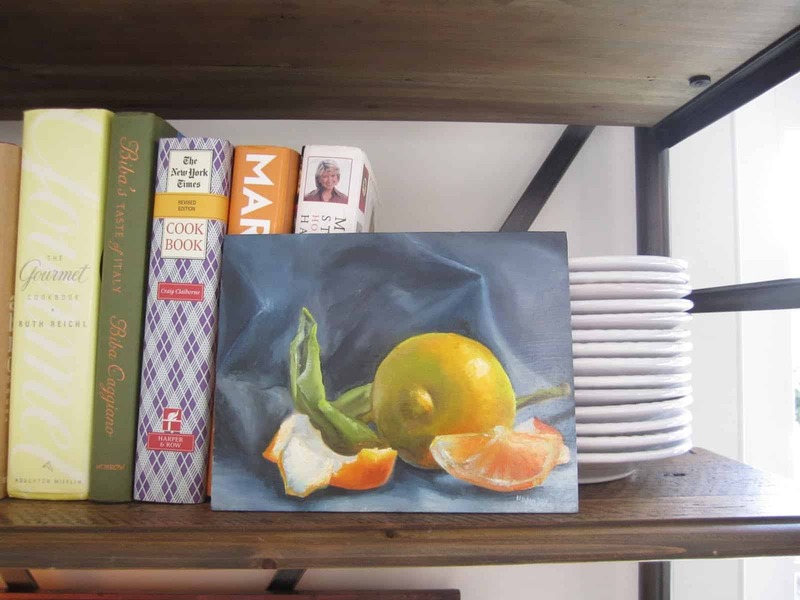 How lucky to receive that oil painting…it's beautiful and it looks just perfect in that spot with some of your cookbooks. How clever to use fresh rosemary as skewers on your caprese salad. Wow, your kitchen is amazing! The sign goes so well! Love your wins! The sign is perfect in your gorgeous kitchen…and the red one would be perfect in mine! 🙂 I love, love Caprese salad and this one looks divine. I'm sure your guests loved the dinner. Be glad you're not in Texas now…still have triple digits daily. Mary Ann I just love your kitchen!!!! You won some great things and that painting is beautiful. What a thoughtful friend! I can never get enough of your kitchen. Gorgeous!!! Love the changes you have made and adore your sign. I must say, the Caprese salad looks divine! That sign adds just a little more flavor to your already gorgeous kitchen, Mary Ann. Wish we had weather that was conducive to alfresco dining more often. Too many bugs! LOL You made my mouth water when I saw your Caprese salad. I have all the ingredients but the fresh mozzarella- guess today I'll make a run to the grocer. yummers…. 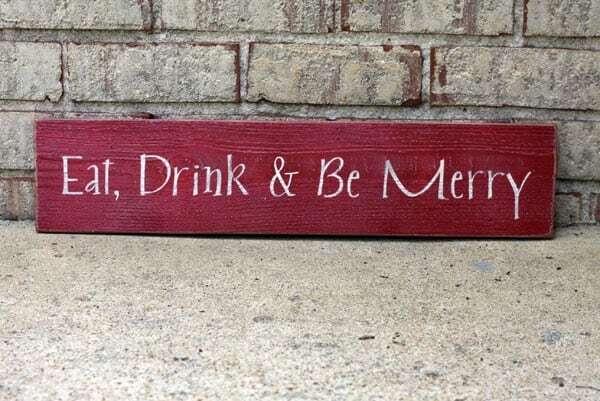 I do like to eat, drink, and be merry, so maybe I'll win that sign! Such a lovely table setting, lucky and cherished guests. Last evening we had Pollo Caprese, in which I had nothing better to do than ask for some extra fresh mozzarella. Heaven…. Another beautiful table setting. Also love the cute sign above the stove. I am excited that you are on Facebook. I will check it out. I love your new sign in your kitchen! It looks great there. And I absolutely love your new blog design. Elizabeth did a great job! I would love to be considered for this giveaway. I am definitely a followet. 🙂 And your dinner party looked scrumptious! Great sign, yummy goodies, and are those Betwixt covered pillows I spy in your kitchen sitting area??? Love your kitchen and your new sign! Adore the painting, too. Congrats on your wins! Your kitchen looks beautiful as always! Your kitchen is fabulous! So jealous. Love the signs. would love to win. Gotta love those signs, & I have the perfect spot for the "Eat, Drink & Be Merry" one! Your kitchen is beautiful. I'm now a new follower! Love this blog. I love the pillow post. I too, am a pillow at addict. Everything in your house is incredible. You are one lucky girl! It's my first visit and I'm a new follower. 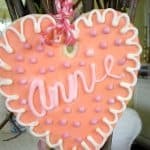 I love your piecrust dinner plates and your giveaway! Visiting from Sherry's Open House Party. Love your kitche & those cupcakes – yummy! I am your newest follower. What a pretty table! I just love your white plates. Those cupcakes look divine! Love your sign…your kitchen is gorgeous….dinner sounds great! Oh, goodness gracious…your kitchen is beautiful!!! Star quality! I love the beautiful blue & white table with touches of pink. So pretty! The dishes (or were they chargers?) are fabulous!!! I also really like the napkin rings. 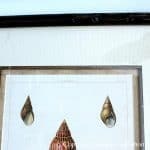 They are so lush with shells!!! Beautiful!